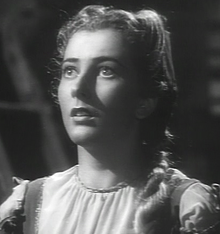 Valentina Cortese (born 1 January 1923) is an Italian actress. She was known for her roles in The Glass Mountain, Thieves' Highway, The House on Telegraph Hill, and in The Barefoot Contessa. She was a BAFTA Award in 1973 and was nominated for an Academy Award in 1975 for her role in Night for Day. ↑ "The 47th Academy Awards (1975) Nominees and Winners". Academy of Motion Picture Arts and Sciences. Retrieved 14 May 2011. This page was last changed on 30 July 2014, at 14:08.